Duzce is a province in northwestern Turkey, on the coastline of the Black Sea and is traversed by the main highway between Istanbul and Ankara. Our guesthouse located in the Dogancilar Village of Akcakova is situated next to the Akcakoca Settlement of the Duzce University. We offer a total of 14 rooms, for 1 person, 2 or 3 people. Each rooom is equiped with a kitchen, kitchenware, refrigerator, bathroom, hair dryer, iron and television. There also is wi-fi internet available. The breakfast is offered at request. 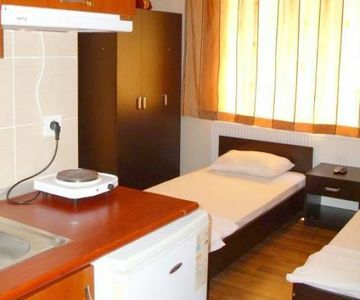 The accomodation rate is 30 TL for one person, Bed&breakfast costs 40 TL.